Click "Read More" to read the full watch text. 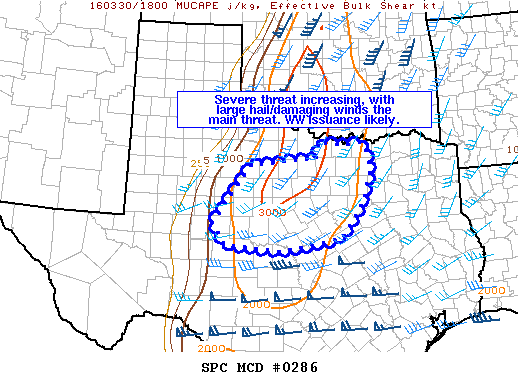 The SPC has issued a new mesoscale discussion, this includes portions of North Texas and DFW. 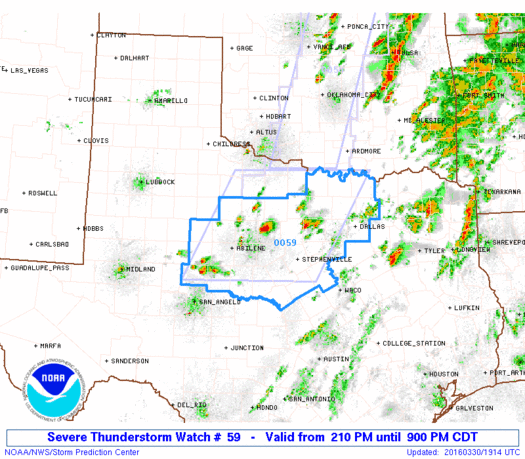 Looks to be a a Severe Thunderstorm Watch with an issuance likely hood of 80%. Watching for thunderstorm development, especially areas where there is clearing from this morning's round of showers and thunderstorms. 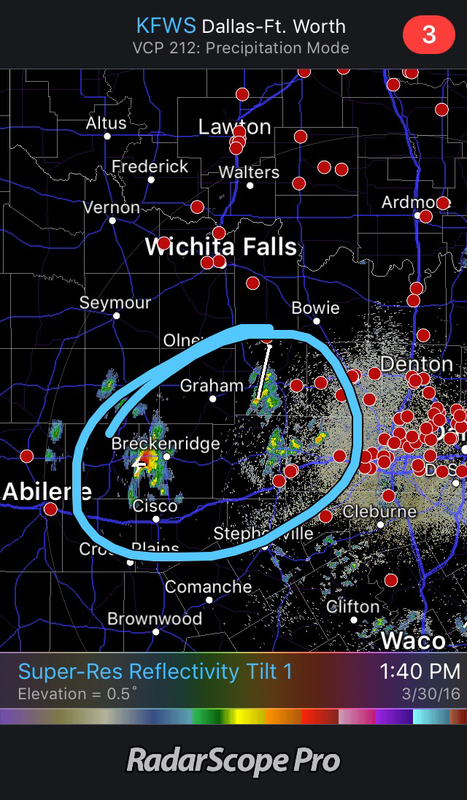 Not seeing anything severe just yet (as of 1:40 pm), however, in the areas where the skies are clearing and the sun is coming out the atmosphere will begin to destabilize and become more favorable for severe storms. 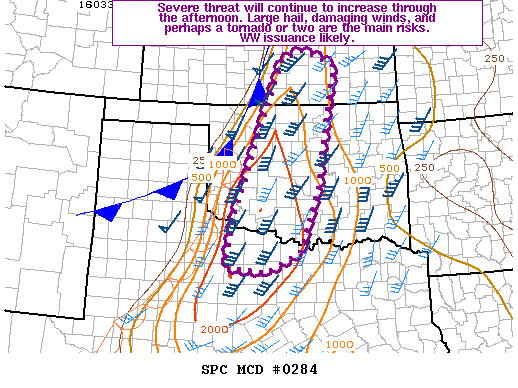 The greatest threats are large hail, damaging winds and a few tornadoes possible. A watch may be issued for portions of our region later on in the afternoon, so stay tuned for the latest watches and warnings. 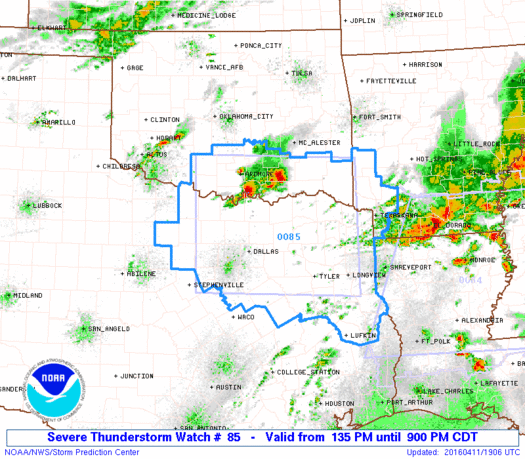 We are beginning to see some storms developing to the west of DFW along the dryline, monitoring for severe watches or warnings.